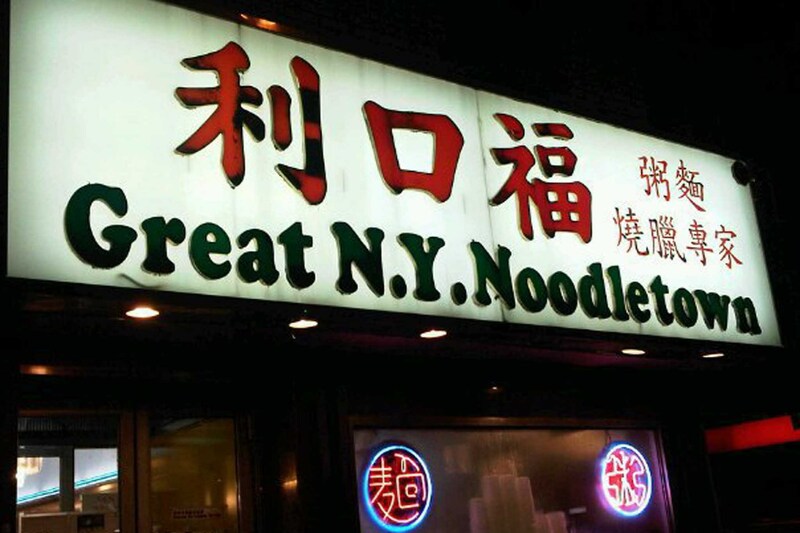 New York has a long lineage of Chinese restaurants showcasing the culinary traditions of nearly every province in China, as well as the fusion fare created by immigrants in the United States. 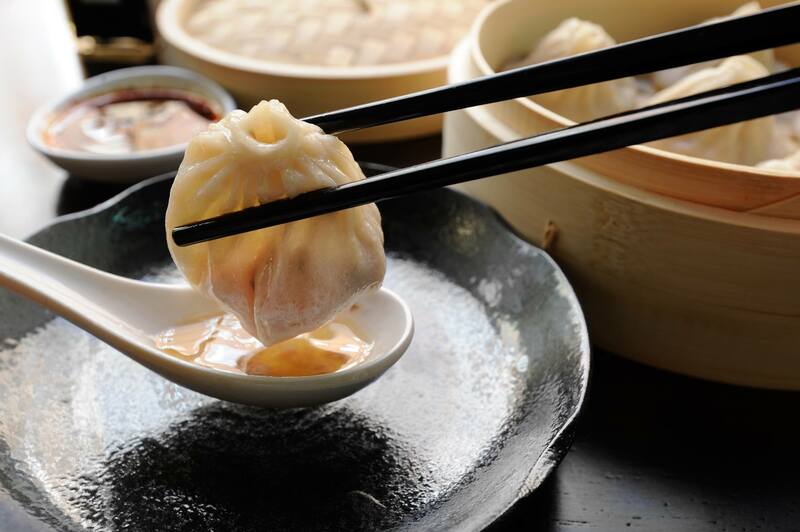 Whether you're looking to sample fiery Szechuan fare or experience a classic weekend dim sum brunch, the city has got you covered. 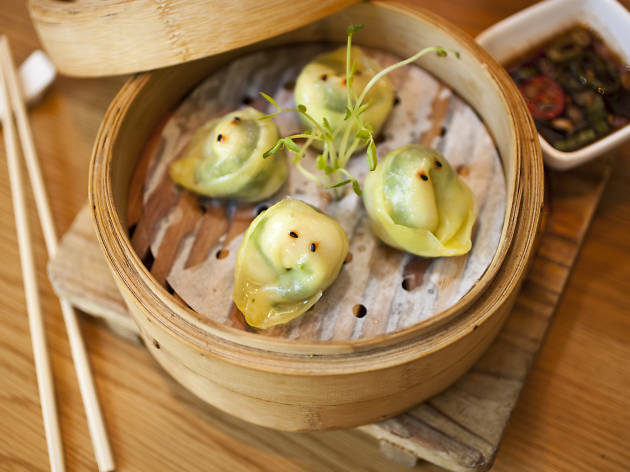 From white-clothed Midtown restaurants to hole-in-the-wall Chinatown restaurants, find the best Chinese restaurant NYC has to offer. 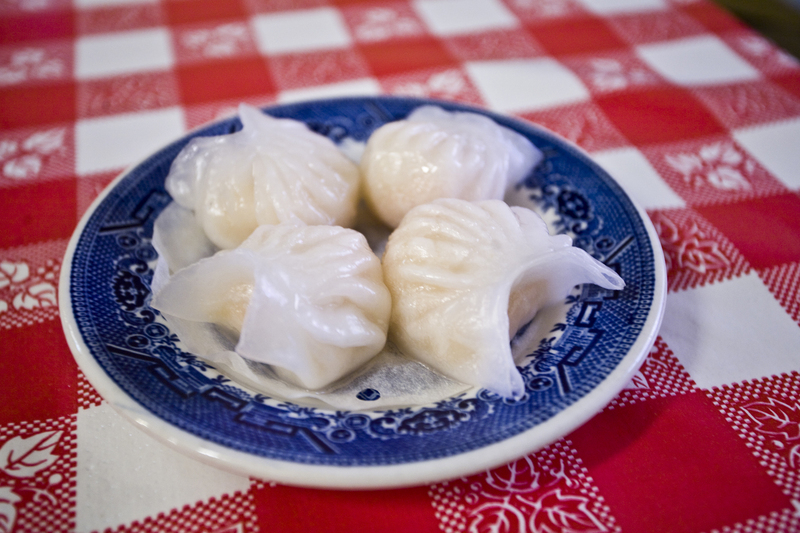 New York's first dim sum house opened in 1920 at a crook in Doyers Street known at the time as "the bloody angle." That Chinatown passage bore witness to the grisly havoc of the Tong gang wars—shootings and hatchet murders—but the bakery and tea shop had a sweeter reputation: Its almond cookies and moon cakes were legendary. In 2010, the 90-year-old stalwart went through a remodel. The most important tweaks, though, were behind the scenes. 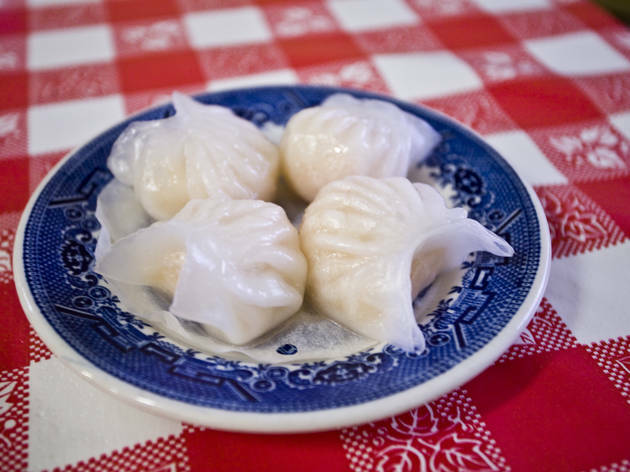 Now, each plate is cooked to order and what was once a health department nightmare is now a charming old-school institution, completely unlike the chaotic banquet halls that dominate Chinatown's dim sum scene. 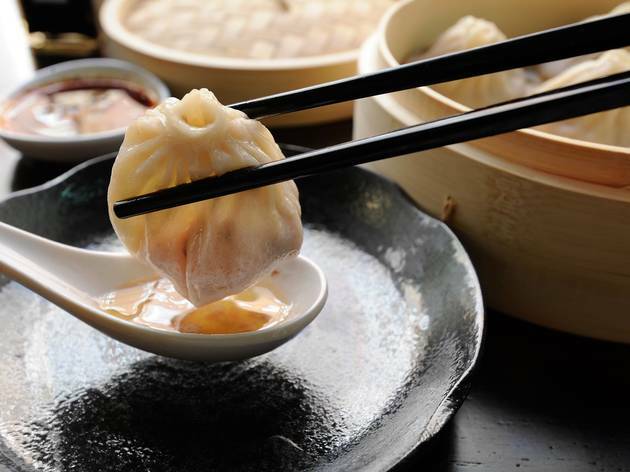 Xiaotu “John” Zhang may not rank among New York’s superstar restaurateurs, but his expanding Chinese chain has a cult following nonetheless. 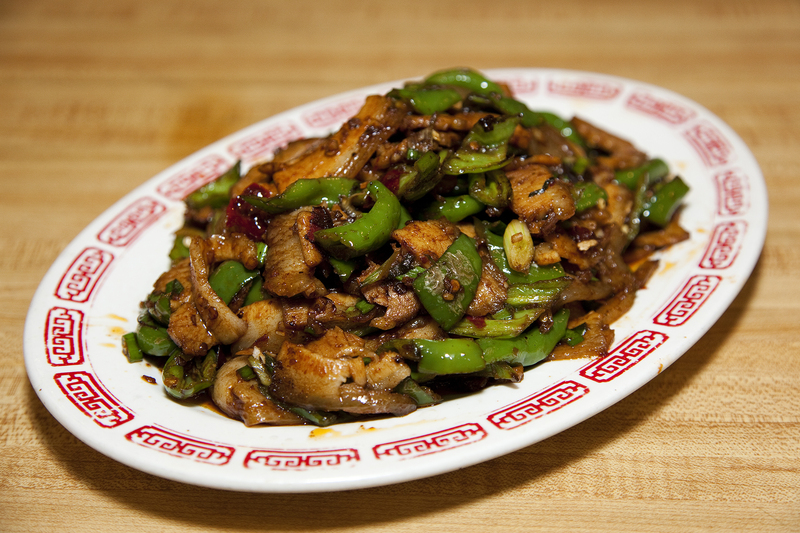 Zhang brought real-deal Szechuan food to Chelsea when he opened a branch there in 1998. His menu passionately describes the history and cooking process behind each dish, providing diners a comprehensive primer on the feast to come. 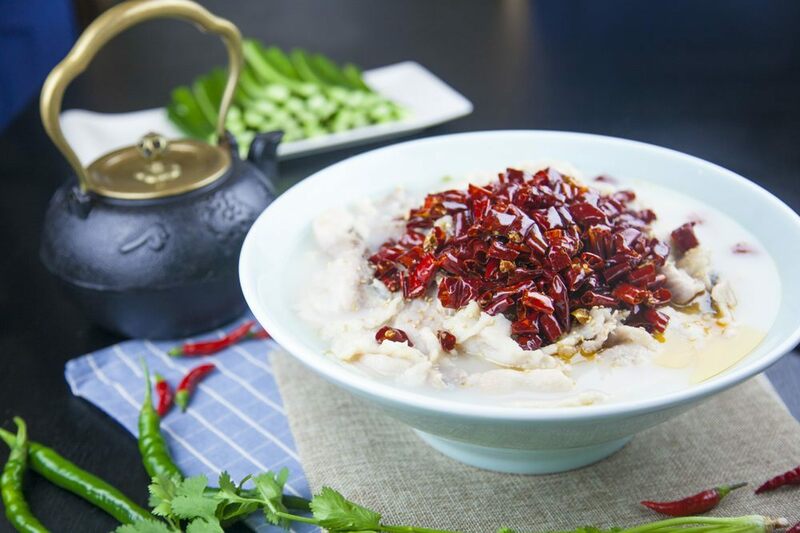 Start with a sinus-clearing bowl of dandan noodles, loaded with dried peppercorns, or opt for the addictive gui zhou chicken, which combines dry-fried hot chilies and tongue-tingling Szechuan peppercorns, without a drop of gloopy sauce. 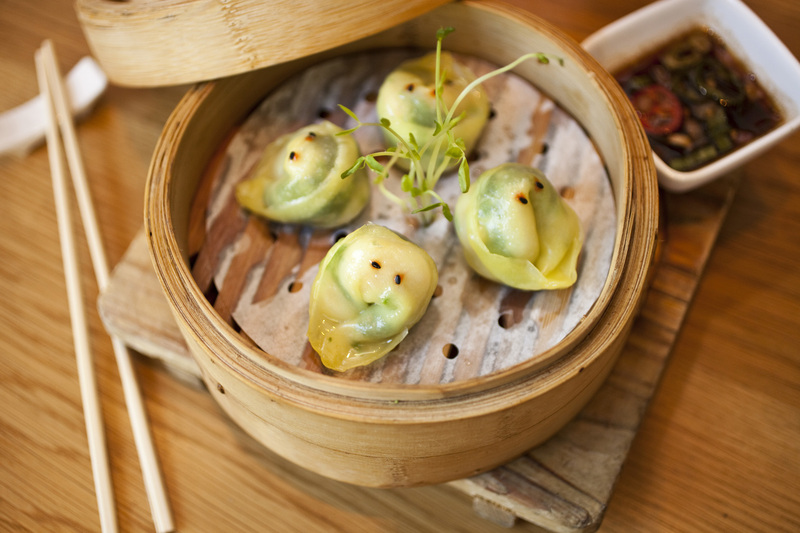 If you’re looking for something milder, order a basket of eight succulent pork soup dumplings. 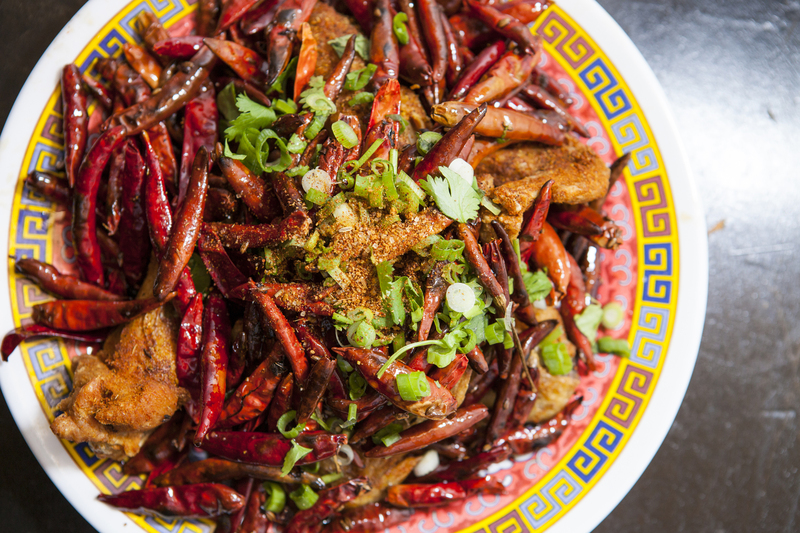 It's no surprise that Flushing is home to another spectacular new sichuan place. 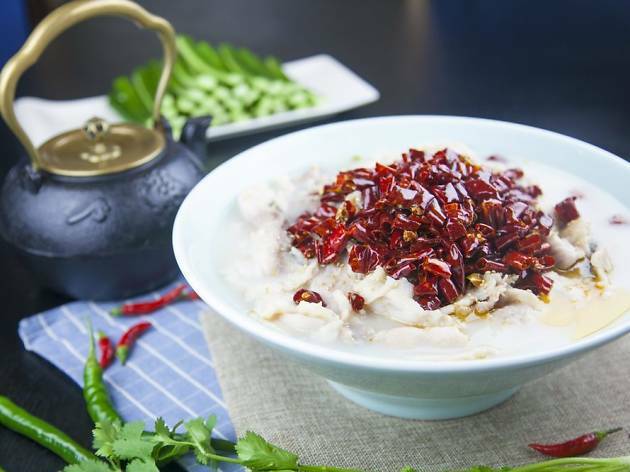 The slightly upscale restaurant serves its modern dishes, like the Tibetan-style pork rib and orange congee with millet, in a theatrical and playful fashion with bright colors and surprising plating. 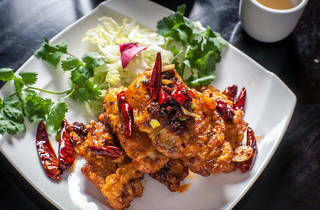 Danny Bowien's relaunched Mission Chinese trades in beer kegs, paper dragons and a cramped, dive-punk Orchard Street basement for smart cocktails, banquet-hall booths and an ample, gleaming dining room in the far reaches of Chinatown. That inescapable hour-long wait for a table can be spent in the downstairs bar, but the real party is upstairs—a lively hodgepodge of bespectacled food disciples and beanie-clad millennials spinning lazy Susans loaded with pork cheeks and turnip cakes while golden-age hip-hop pumps through the room. 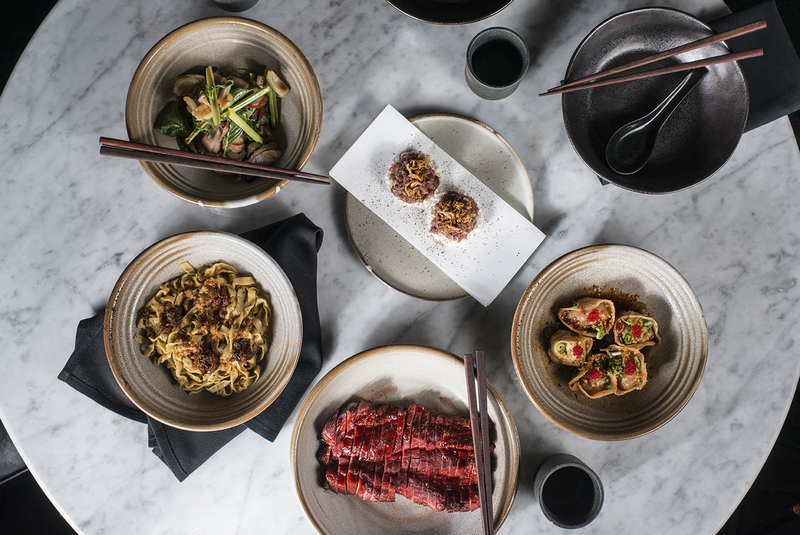 The menu expands from oldies like the kung pao pastrami and chicken wings with new dishes, many of which show Bowien hasn’t wholly lost his edge. 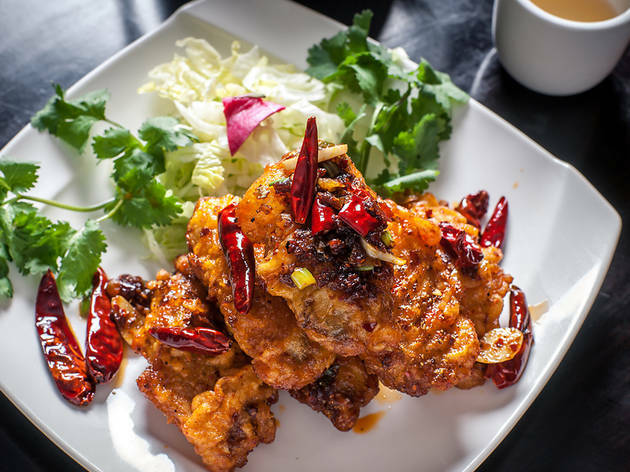 The Peking duck from chef Dong Zhenxiang is at its prime in this dazzling 400-seat Chinese chain situated right outside Bryant Park. 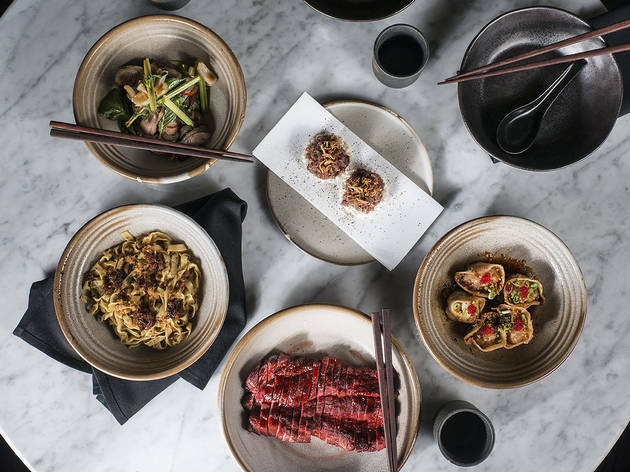 Star chefs like David Chang and David Bouley call this Hong Kong–style institution a favorite for its late-night hours and consistently good eats. 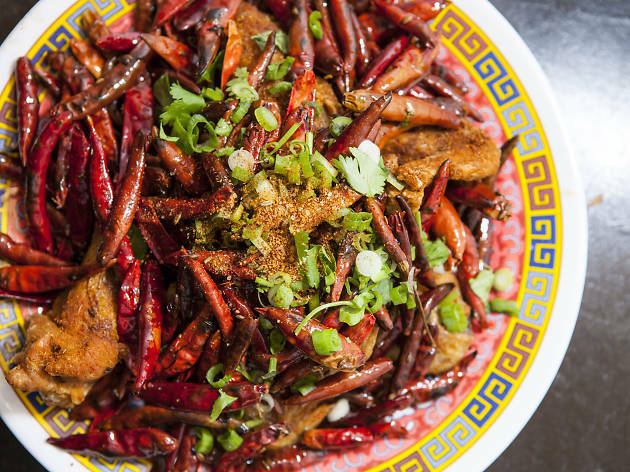 Do as Chang does and order the ginger scallion lo mein, or choose from dozens of noodle variations—available panfried or in broth with add-ons like shrimp dumplings, pig’s feet and beef balls. 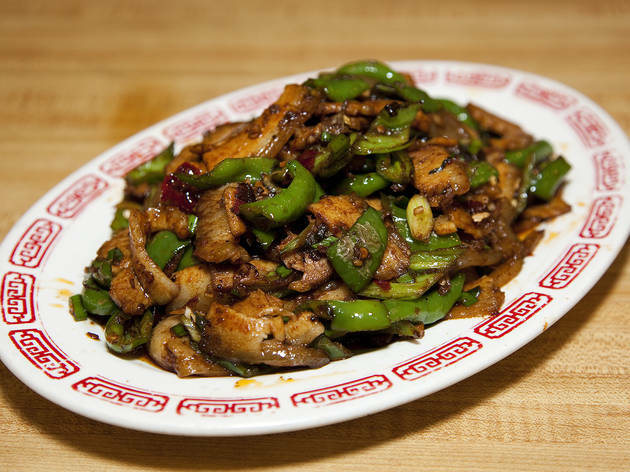 Don’t overlook the rest of the menu: One signature stir-fry features Chinese flowering chives sautéed with your choice of duck, scallops, fish or squid. 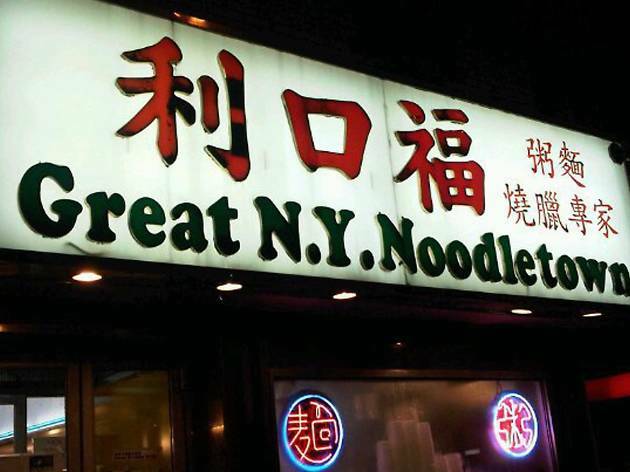 Chinese-food fanatics rejoiced when this Flushing chainlet opened this Manhattan branch. 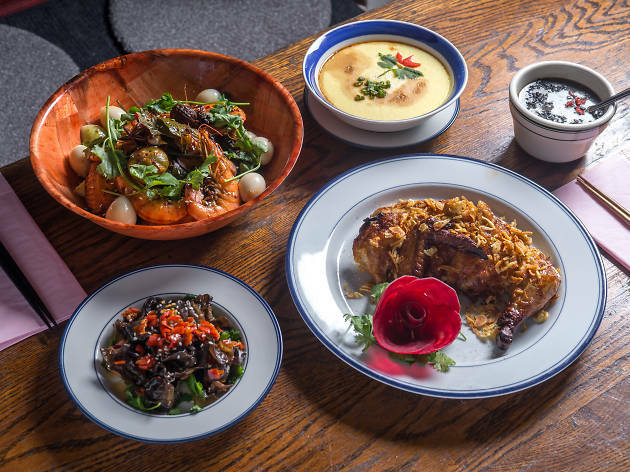 As at its Queens counterparts, this tiny East Village shop offers the cuisine of Xi’an, an ancient city in North Central China that was once a vital part of the Silk Road trade routes. 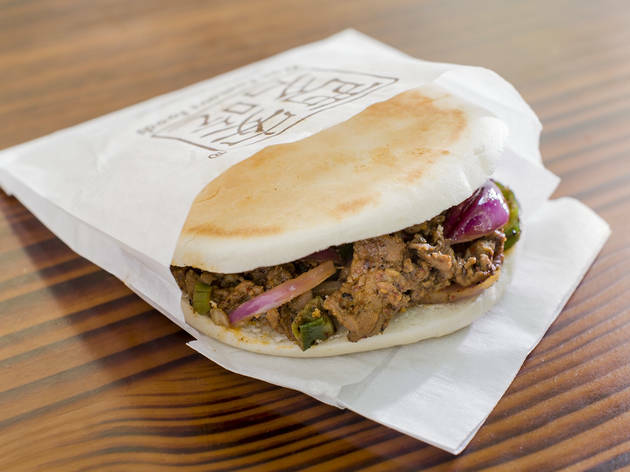 The cumin-spiked “lamb burgers,” tangy liang pi cold noodles and warm tofu submerged in crimson chili oil are all must-haves.